I DEVOURED Patrick Ness‘s Chaos Walking trilogy, cried at A Monster Calls, and clearly will be picking this up ASAP. Publisher Description: What if you aren’t the Chosen One? The Ranger’s Apprentice series is one of my favorite recommends for boys age 9 and up. This is a coming-of-age fantasy series with medieval elements, featuring lots of action and adventure, highlighting various types of relationships made and grown over the years (parent-child, friend-friend, and romantic), and, of course, great heroism. I have no doubt that tradition will continue in this prequel series. Publisher Description: When Halt and Crowley discover that the ambitious Morgarath has been infiltrating the Rangers in order to corrupt the Corps, the young Rangers travel north to find Prince Duncan, seeking a royal warrant to stop Morgarath before it is too late. By weakening the Rangers, the most powerful force in support of the King, Morgarath plans to steal the throne. Sarah Vowell is a master of essays, snarky asides, and giving the whole historical context to whatever subject she sets her sights on. She reads her own work in a really engaging way, so if you’re up for an audio book, I highly recommend this one. Publisher Description: On August 16, 1824, an elderly French gentlemen sailed into New York Harbor and giddy Americans were there to welcome him. Or, rather, to welcome him back. It had been thirty years since the Revolutionary War hero the Marquis de Lafayette had last set foot in the United States, and he was so beloved that 80,000 people showed up to cheer for him. The entire population of New York at the time was 120,000. 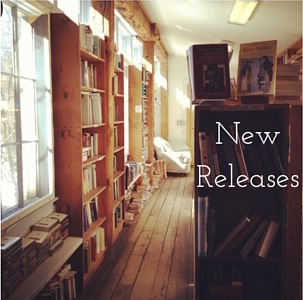 Posted on October 1, 2015 October 4, 2015 by WildlyLivedPosted in Series: new releaseTagged 2015, books, john flanagan, october, october new releases, patrick ness, read, sarah vowell, Series: new release.